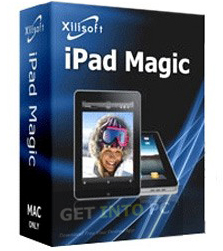 Xilisoft iPad Magic Platinum Free Download Latest Version for Windows. It is full offline installer standalone setup of iPad Magic Platinum for 32/64bit PC. 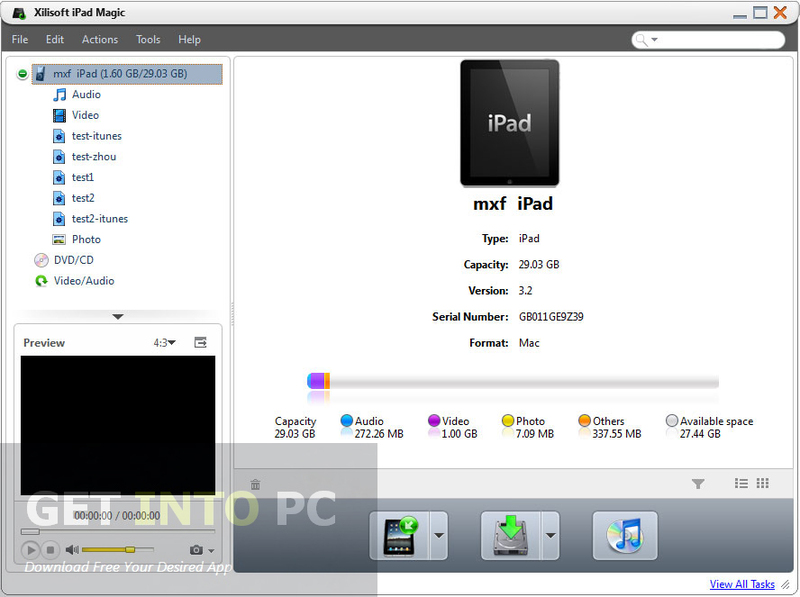 Xilisoft iPad Magic Platinum is a very powerful iPad management tool that has been designed in order to transfer and manage the music files, photos and videos from iPad to computer. 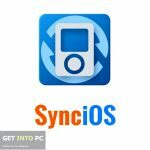 With this application you can also convert files from your CDs/DVDs or from your system into iPad music and video files. You can also download videos from different websites and can save them into your iPad. AnyTrans is another tool having such features. Xilisoft iPad Magic Platinum is also useful in backing up your data. Now you can save your iPhone or iPad data onto the iTunes library easily. The photos taken by your iPhone can be arranged in a catchy photo album while using this application as it allows you to create photo albums. It also enables you to support several devices to be connected at the same time. It has a built in player which will allow you to have a preview of the videos files as well as the images. Usually People prefer iTunes for every stuff but this tool has its own features. You can also set your system to be shut down or go into hibernate mode once the conversion or downloading process is completed as it sometimes happens that the time taken for conversion or downloading is too much that you unnecessarily have to sit in front of the system. By utilizing this option you won’t need to be glued to your seat and can roam around freely as the system will go into the selected mode automatically once the job is done. On a conclusive note we can say that Xilisoft iPad Magic Platinum is a very handy application with a nice interface which supports multiple languages. Below are some noticeable features which you’ll experience after Xilisoft iPad Magic Platinum free download. Can manage the iPad diles easily. Can convert audio and video files into iPad compatible formats. Can download audio and video files. Can set the system on hibernate or shutdown after the task is completed. 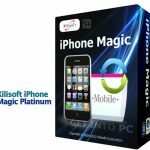 Before you start Xilisoft iPad Magic Platinum free download, make sure your PC meets minimum system requirements. Click on below button to start Xilisoft iPad Magic Platinum Free Download. This is complete offline installer and standalone setup for Xilisoft iPad Magic Platinum. This would be compatible with both 32 bit and 64 bit windows.